Some retailing strategists believe general merchandise retailers must carry tens-of-thousands of products in order to satisfy the needs of their target market. This often means carrying the same type of product (e.g., laundry detergent) from several different suppliers. But in reality there are several large retailers who are quite successful carrying extremely shallow product lines to the point where they may only carry a single brand within a product category. A case in point is Costco, a so-called warehouse store catering to both consumers and business customers (though technically not a retailer when they sell to businesses). Their sales in 2009 exceeded $70 billion ranking them as the 3rd largest U.S. retailer and 9th largest worldwide. What is remarkable is that they achieved this with an inventory of only 4.000 items compared to many other large retailers who carry well over 100,000 products. As this video story points out, for Costco it is not about having a large number of different products, rather, it is about having the right mix of products. And the right mix requires retailers have a clear understanding of what their target market wants. Additionally, Costco’s low-cost-for-bulk-purchase approach has benefited from recent economic problems which has driven even more customers to their stores. 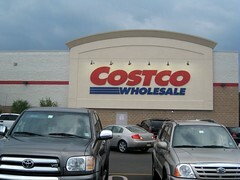 The story also discusses Costco’s store design and layout strategies. Anyone interested in retailing may want to check back with ABC News as they indicate this is the first in a series looking at the retail industry. In what other ways, not mentioned in this story, does Costco differ from other major general retailers such as Wal-Mart and Target?